Okay, i know i am maybe slowpoke on this, but in another news, Mark Zuckeberg is married. Last Saturday, 19th of May, Mark updated his relationship status to "Married". 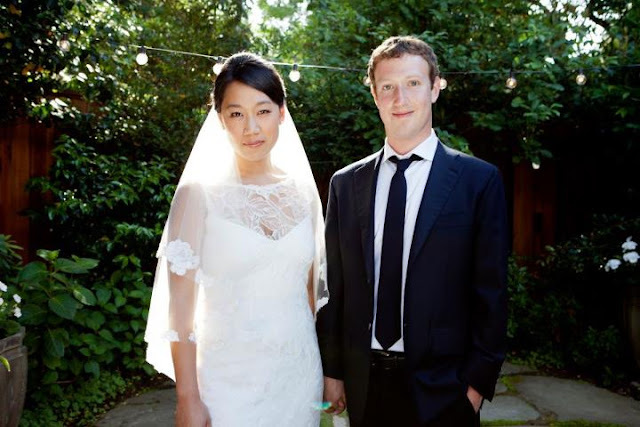 Zuckerberg married 27 year old Pricilla Chan, at Zuckerberg's own backyard. Guests who were thinking they are celebrating Chan's graduation day were surprised to see that they are attending a wedding ceremony. Despite of all his wealth, i really like, how Zuckerberg made his wedding reception simple. Not to mention he managed to surprise his guest.